What a full week we had! The kids had a couple of special experiences this week. On Wednesday, we went to WHALE Tales. Many of the kids were disappointed because they thought we were going to swim in the pool for the afternoon instead of learning about water safety. In the past, the first week is the week that they are able to have the most amount of free time. This time, they didn’t get any free time in the pool. Bummer! On Thursday, we went to listen to three puppet shows presented by students from GVSU. The kids laughed out loud and seemed to enjoy it. Which one was your child’s favorite? The kids took home a permission slip for our upcoming trip to Howard Christensen Nature Center. We will be choosing our two parent volunteers on Friday. If your child’s permission slip didn’t make it all the way home, please let me know and I can send home another one. I also attached the electronic version here. A note about Fiesta Latina! This week, we continued to learn the geometry vocabulary for this chapter. Many of the kids now know the vocabulary needed. Some are still working on this. How is your child doing? The kids also reviewed three-digit addition and if they were able to do this, they were given a challenge activity. In this activity, they had an addition paper with blanks in various places that they had to fill in. For some of the kids, this was not easy, but it definitely helped see who understands what we are doing with three-digit addition. I have attached a sample of this. This is not a required standard for second grade, but if your child would like to do some of these at home, you can find examples at math-aids.com. Go to the addition tab and there is an option for this type of page. In writing, the kids have been finishing up their non-fiction animal books. We have also been doing quick writes. I give the kids a topic and they have less than 10 minutes to write about a topic. When the timer goes off, I asked them to show me with their fingers how many minutes more they need to finish their writing. We go with the majority. At night, I have been reading their writing. I try to write a note to them with one thing that they did well and one thing they can do to improve their writing. Starting next week, I will be checking some of them each night to make sure that I’m checking in with everyone a couple of times each week. In reading, we finished our “Dori” book. The kids were disappointed to come to the end of the book. That is definitely a sign that we read a great book. We also read a few other books. With these books, we talked about the moral of the story. This seems to be a new idea for many of them. Most of the kids wanted to tell me about how the character solved the problem. As a group, we talked about that and turned it into the moral of the story. This is definitely a deeper thinking activity. When you read with your child at home, ask your child about the moral of the story. This would be a fantastic way to support this concept. Next week, we will begin studying series of books. I presented the kids with several options and asked them to choose their top four choices. I am using this information to form groups since each group will be studying a different series. I also ordered three more series of books. I’m excited to get these and to present them to the class. As the kids are reading, I get together with them individually to listen to them read. They tell me what their goal is and then read for a while. I always tell the kids about the things I hear them doing that great readers do. Then I try to give them a goal to work on that will help them grow as a reader. While we are working on our language arts block, Sra. Gomez comes in and helps the kids with their homework books. She reviews each child’s goal, talks with them about how they are doing and they pick out a new book to read. She keeps a written list of what they are reading and how they are doing. Some of the kids are not returning their books in a timely manner. Please make sure that your child is reading his/her homework and returning it on time. After she is done trading homework books, Sra. Gomez works with kids on different math concepts. We are so fortunate to have her come in and work with our kids each day! Your generous donations are what makes this possible. In social studies, the kids have been learning about how to transport products. The made a map of how a product could be transported and then made a video of this. I will be sending home a parent access code on Monday. This way, you can go in and watch your child’s video. That about wraps up our week. If you have any questions or concerns, please don’t hesitate to contact me. I am here to help. I hope that everyone had a great week back! I know that the kids are getting excited about some upcoming events like WHALE Tales. Don’t forget to have your child bring a swimsuit, a towel and a plastic bag to put their wet clothes into on Wednesday! The kids brought home their report cards on Friday. If your child’s report card didn’t make it all the way home, please let me know and I can get another one printed and sent home. If you have any questions about anything on the card, please don’t hesitate to reach out to me. With the report card, I included a summary of your child’s progress in our English spelling program, Word Journeys. I gave all of our families a copy of your child’s January progress at conference time as well. The number toward the top of the page in the total of number correct words out of 25 that occur at each level. Each level breaks these down into five separate categories that are listed at the bottom of the page. There are five words on the test for each category. It is possible for the child not to get the entire word correct, but to get the part of the word that is testing the category correct. This is why the number at the top isn’t always the total of the numbers at the bottom. Make sure that you mark your calendars for our music program. This is on April 25th. We will also have some special times for rehearsals. One of these is at Ada Vista (the Wednesday before), but the other will take us to the Fine Arts Center (the same day as the program). I will update you with these times as we get a bit closer. This week was all about finishing up some concepts and starting some new. In math, we reviewed subtracting three digit numbers with borrowing. If you are working with this at home, you probably already know that this is one of the hardest concepts for the kids to understand and it typically takes a long time for them to fully grasp the concept. We also started introducing the vocab that the kids need to learn that goes with three-dimensional shapes. These include: triángulo, rectángulo, cuadrado, pentágono, hexágono, heptágono, hexágono, vértices, ángulos, ángulos rectos (right angles) and lados. Some of our kids who have had an easy time with math so far, might struggle with learning this vocabulary. A sheet was sent home this week with most of the forms listed on it. This is for the kids to be working on at home. In writing, the kids are working on finishing up their non-fiction writing of their animals. They are writing this in their white, hard covered books that our PTO provided. Some of our kids have been highly motivated to write and finish their books because they are so special. The kids also spent time on the computer, working on Google Docs to find pictures that they could paste into their books. Next week, we will be adding the final details of a content, index, glossary, writing about each picture, and adding an author page. Once they are finished, the kids will present them to the class and they will go home to share with families. The kids also wrote about their vacations and they are presenting them to the class. As they finish, these are going home to share with family. During our read aloud time, the kids have been listening to a story called “Dori la oveja negra.” The kids are enjoying the humor and situations found in the book. I bought a few of these books for our class and they have been circulating through the kids for the last few weeks. As I’ve been reading, I tell the kids what my goal is for the week and then share my thoughts on the book and how I complete my reading goal. During the time that the kids read independently, they each picked an individual goal from the Lucy Calkins goals that they have learned and they have been working on trying to complete that goal. I have been circulating through the classroom and meeting with individuals to see how they are reading, to give them one compliment on what I hear/see, and to give them one thing that I notice that they should work on to improve their reading. During our science and social studies time, the kids finished up their study of plants. The test went home with them on Friday. We reviewed the test before taking it and I covered each of the questions. A good way to see how well your child is listening in class is to look at their grade. Those who were listening well, scored well. Then we moved on to a new social studies chapter. The kids are learning about “productos” products and how they are moved from one place to another. The kids all picked a product, drew a map, and described how their product was going from one place to another. They will be doing a presentation to the computer. The kids will be taking a video of this tomorrow that can be shared with you. Then they can check out other kids’ presentations on the computer later this week. That’s about it for us this week. If you have any questions or concerns, please do not hesitate to reach out to me. Have a wonderful snowy Sunday! WHALE Tales is quickly approaching. WHALE stands for Water Habits Are Learned Early. This is a program to help the kids be as safe as possible around water. They will learn some wonderful lessons. The kids seem very excited to go! I wanted to check in with a couple of things. 1. You may have heard about several incidents that we have had in the classroom with mocking comments about adults and children being fat. This will be a zero tolerance environment, just like our classroom. If a child is heard talking about how anyone is fat, that child will not be allowed back to WHALE Tales. This needs to be a safe environment for the kids to learn about water safety and not have to worry about this. The kids and I will be talking about this tomorrow, but I wanted to give you a heads up. 2. If you have a child who is scared of the water or concerned about WHALE Tales, please let me know. If I know, I can help reassure them and work with them when they are in the water. 3. We go on April 17th, 24th, and May 1st. Our time slot is for the afternoon. The kids will need a swimsuit, towel and a plastic bag to put their wet items in after we are done. 4. Please make sure that your child comes to school dressed in normal clothes, including underwear. When the kids wear their swimsuits to school, they tend to forget underwear and then go "commando" after WHALE Tales. 5. For our female students: If at all possible, please make sure that your child has a one piece suit. They need to jump in the water for one of the activities and one year, I had a child jump in and come up with a suit that was all over the place. She was horribly embarrassed. 6. If you have volunteered, thank you so much for volunteering!! Please make sure that your volunteer consent form is submitted to the office ASAP if you don't already have one with us. For the safety of our students, we can not allow any parents to come with us who do not have one on file. I have also added the information from Mrs. Carlson at the Forest Hills Aquatic Center. You should be able to find all of the information that you need to know for this time. If not, please let me know. If you have any questions or concerns about WHALE Tales, please let me know. I'd be happy to answer any question that I can. Most children enjoy having their parent here to share this learning experience. You help the instructor(s) by assisting with the lesson and/or skill. Many parents also learn new information which helps keep their family and others safe in on, and around the water. When the students arrive they sit in the hall for an explanation of the W.H.A.L.E Tales program. Expectations and procedures are explained. Student questions are answered and any concerns discussed. Hurry them along – (we plan on 3 minutes to change). Have them dress at their locker – not in the bathroom. Have them put everything in their locker. Have them use the bathroom – to go – not change, if they have to go. Have them bring their towel with them to pool deck. They DO NOT shower at this time. Students sit in a small group in front of the T.V. Volunteers please be sure to listen to the lesson – it will help you know what is being taught and what your role will be. Please do not hold side discussions, it will distract the students. Day one the program is discussed and the days lessons are covered. Day two and three the previous week is reviewed, then the new lessons are covered. Watch short American Red Cross movies related to the lessons, each day. Students may be divided into two equal groups or kept as one group depending on the lesson. When necessary the groups will be sent to locker rooms to shower – parents follow and supervise. Please turn all the showers off should the students forget to. Parents assisting in the water shower at this time also. Students will rotate stations if needed. Volunteers will help at the same station for both groups. Back to the TV for wrap up. Locker rooms to dress – students will line up inside the locker room when dressed. Once all students are dressed they walk into the hallway. Teachers will meet them there and take them out to the bus. There are lesson plans and diagrams available for you to review during the time on deck in front of the T.V., at the start of each day. The Water Safety Instructor (WSI) will teach each lesson/station and depending on the lesson will need assistance in the water and/or on pool deck. Your role will be explained and or demonstrated by the WSI. You will remain at one station the entire class period. Volunteers do not rotate with students. If there is free time, volunteers are asked to spread out and stand around pools edge to assist the WSI’s in watching the pool. Dress cool and comfortably for the pool deck (shorts and at t-shirt) and wear a swim suit underneath. THANK YOU FOR YOUR TIME AND ASSISTANCE! I hope that everything is going well at home! We have been learning a lot and we only have a week and a half more until Spring Break. On the 20th, the kids have their trip to Goodwillie Environmental School. We will be outside the whole time, walking through the forest. Please make sure that your child is dressed appropriately for our trip. Also on the 20th, we have our favorite author / character dress up day. The kids will be provided the opportunity to change clothes if needed to go to Goodwillie and when we get back. That way, everyone can participate in both activities and be well dressed for both of them. Spanish Reading Night: Looking for something to fill your Thursday night? Come spend an hour as your favorite superhero at the Ada Vista media center for our 3rd annual Spanish Reading Night! March 21, from 6-7pm, we are celebrating literacy through reading, writing, and even face painting! Come join us to read with your student or listen to other books about superheroes. Don’t leave your cape at home - come dressed in superhero attire or pjs, and enjoy a fun evening with us! On Wednesday, March 27th, second grade classrooms are inviting families to come read with us during our English time, from 2:30 – 3:10. Please do not feel that this is something that you have to do, but you are welcome to come and read with the kids. We typically break the kids into groups, depending on how many families can come. If you are able to join us, please let me know so that I can try to have some organization ready ahead of time. If you have a favorite picture book that you would like to share with your group, feel free to bring it! Otherwise, I will have plenty of books available to share with your group. Fiesta Latina is on Thursday, May 2, 2019 from 5:30-8:00pm. You won’t want to miss this incredible fiesta full of food, culture, music, dance and treats from the beautiful Latin culture. All classes with 100% participation in donations towards our Native Speaking Aides Campaign will win a popsicle party with Sr. Stecco in the spring! We’ve raised $33,000 of our needed $60,000, and no donation is too small. During our study of Lucy Calkins, the kids have been learning about how to read a non-fiction book with a teaching and expert voice. They have also been learning how to use a table of contents and index to find certain information about the animal that they are studying. After reading these parts alone, they get together with their group and read it to the rest of the group. This provides them time to practice reading it and to be confident when they read it to others. The kids have then been using that information to write about certain aspects of their animal in a packet. The kids have also started to study the needs of plants. All of the kids planted two seeds in a cup of dirt. It is their responsibility to care for their seeds and to write about them in a journal on a daily basis. We also set up a few experiments where we took away some of the needs of a plant to see if the seeds would still grow. While writing in their journal, we have been stressing certain parts of writing like capitals, periods, accents on certain words and writing exactly what we are doing to care for our plants / seeds. In math class, the kids have been learning how to subtract three-digit numbers when they need to borrow. This tends to be one of the hardest concepts that we cover because the kids automatically flip the numbers so that instead of subtracting 2-5, they do 5-2. We have also been learning about how to add three or four numbers together. The kids have worked on finding groups of tens and doubles to help them do this. We have also continued to review graphs. The kids have been working on measuring again. Some kids are still starting the measuring at the one mark instead of the zero. Some kids are still trying to figure out when to go to the next number and when to back up to the previous number. Other kids are using centimeters when they should be using inches and vice versa. During English time, we have started working with new Word Journey words. What are your child’s word patterns? Can he/she explain them to you? That’s about it for us. I hope things are going well at home. If you have any questions or concerns, please let me know. Did you remember to set your clocks back an hour? The time change tends to be difficult for the kids, so please make sure that your child is getting enough sleep to be able to do their best. Did your child tell you about some new behavior systems that we have in our classroom? This tends to be the time of year where the kids’ behavior starts to deteriorate a bit. To help combat this and encourage positive behavior, I implemented a few new systems. The kids are earning tickets throughout the day as they do their jobs to the best of their abilities. The tickets are given for appropriate learning behaviors, not for learning concepts. These tickets can be exchanged for superheroes or for pencils. The second behavior system that I started was Viernes divertido (Fun Friday). As long as the kids do not receive a behavior slip from the office throughout the week, they get to participate in Fun Friday. If they do receive a slip, they get to read during this time. Are you looking for more Spanish books to read at home? I am told that Cascade library has a good selection of books for your child to choose from. Planning a weekly trip to the library to have your child pick out books that interest them is a wonderful way for your child to get interested in what they are reading. On March 20th, we will be going to Goodwillie Environmental School. The kids there will take our kids through the forest and explain how the forest is changing as spring is coming. Also on March 20th, we will be having our Favorite author / favorite character parade. This is completely optional. The kids can come to school dressed up as their favorite character or author. Since we are also going to Goodwillie for the morning, the kids will have time to switch into their costumes after lunch if they need to. In science, we are finishing up our study of how the Earth changes over time. Next week, we will start studying plants. In math, we finished chapter 6, which covered multi-step story problems and graphs. We will continue to talk about these concepts and reassess anyone who didn’t do well on it. We started chapter 7, which covers more in skip counting, adding three-digit numbers, and measuring. The kids all have a sheet of math for homework this weekend. In the homework, the kids are adding three numbers. First, the kids should group the sums of ten or the doubles. Then they should add on the other numbers. In reading and writing, we have switched over to non-fiction for the month of March. We started this week by examining how an author sets up our books. We did a non-fiction characteristics walk through the book. In fiction stories, we do picture walks. In non-fiction books, we are talking about the characteristics. The kids all received a new book about an animal and another non-fiction book. The kids went through their books to see which characteristics their book has. We talked about how the more difficult books contain more of the characteristics to help the reader. During our read aloud time, the kids have been listening to a story called “Dori: la oveja negra”. During our time, I have been trying to introduce some series books to the kids. I want them to become interested in some easier chapter books that they can read. One of the most difficult parts of second grade reading is finding books that are challenging, but not impossible to understand. Books tend to be super easy or super difficult. As I have been meeting with kids, I have been challenging some of them to read books that are more challenging for them because they are reading things that are too easy and this doesn’t allow them to grow. The kids finished another round of Palabras a su paso and Word Journeys. Both of these are the developmental spelling programs that Forest Hills uses. In these programs, the kids aren’t learning how to memorize numbers, but how to use spelling patterns to spell correctly. Each child is put in a group, depending on what they already know and what they still need to learn. In English, the kids are learning more and more about short vowels. All of the vowels have been introduced to the kids. We will continue to talk about these over the month of March. I have also been introducing a few of the chapter book series that we have in the classroom. I read aloud a book from Bailey City Monsters and Horrible Harry series. Next week, the kids will learn about more series that they can read in class and at home. Thank you to our parents who have been coming in to help us run English group! It would be impossible to have the kids reading with guidance like this without your support. Also a huge shout out to the parents who are coming in to read Dolch words with the kids! These are the words that you have to memorize because they tend to be impossible to sound out and they show up frequently in our readings. This Thursday, our class will be hosting a Collaborative Learning Lab for some teachers from the Spanish immersion at Jenison Public Schools and for the second and third grade teachers at our school. A Collaborative Learning Lab is when teachers observe a lesson, check out a classroom, and talk about the things that they saw in a meeting afterward. These teachers will be in our classroom for about an hour. I will do a lesson with the kids on Lucy Calkins (our reading program). The teachers will observe the lesson and then we will leave to go to another room to talk about what happened in the lesson and how to improve our teaching based on what they observed. I’m excited to show off how and what our kids are learning and doing. That is about it for us this week. I hope that everything is going wonderfully on your end of things. If you have any questions or concerns about what is happening at school, homework or anything else, please do not hesitate to contact me. Have a fantastic rest of your weekend! This must seem like a long week for the kids. It’s the first week that we have had a full week of school in way too long. I’m so grateful that the weather has allowed us to safely come to school! As I sat down to write this newsletter, I realized that I didn’t write one last week. I’m so sorry! I don’t know where my brain was. This newsletter has information from last week and this week. On Tuesday, a permission slip went home with the kids to go to Goodwillie Environmental School. If you haven’t seen this permission slip, let me know and I will send another one home. The students there take our kids through the forest and guide them. They will teach our kids about the forest and how it is preparing for Spring. This is always a fun trip. Because the kids guide us, we do not take parents on this trip with us. Goodwillie has requested that we do not have parents with us. In math, we have been learning a lot about graphs; how to make them, how to read them and how to interpret them. We have also been learning about how to solve number stories with comparison between two items. The kids have a paper of homework for math on Friday that is due on Monday. In science, we have been learning about landforms and erosion. The kids and I read through a packet about a guy who went through parts of the United States during the Civil War period. He talks about the different landforms that he encounters while traveling. Then the kids have been playing in the sand. In partners, the kids built the landforms that they read about in the packet. Then they used a program called Seesaw to take a picture of it, label all of the landforms and record themselves talking about the different landforms. Families will have access to this as well. This is a new site for me and I’m still trying to figure out how it works. I will be learning how to get family access this weekend and I will send home this information on Monday. That way, you can check out what the kids are working on and listen to them speak in Spanish. In science, the kids also were assigned one landform to build in the sand. Then we used a water bottle to simulate rain and talked about erosion and how it happens. The kids also watched a couple of videos from Youtube on erosion and they watched a Bill Nye video on erosion. In reading, we have been focusing on how to read with expression and why it is so important. We have talked about reading with a correct rhythm, how reading with expression increases comprehension, and learning how to focus in on literary language and sparkle words that we read. Every two days, we have had a new focus and the kids have had lots of reading time to practice them. How do we get great at anything? We practice! I have been reading a new book to the kids. It is a chapter book that the kids have found fun and fascinating. “Isadora Moon y la fiesta de cumpleaños” is a fun book for kids. If your child is reading at a higher level (L or higher) and you are looking for more challenging books without being too difficult, these are wonderful books! I found our book at Barnes and Noble. I also went on their website and the kids voted for two other titles of the same character that they would like to have in class. I would love to buy all of them for the kids, but they are almost $10 each. In writing, the kids have been hard at work. We have been studying fictional stories. As a class, we sat down to talk about how to make on outline. As we went through each section, the kids filled it out. Then they were given a book to start writing. I’m excited to see how these books turn out. The kids are finishing another round of Palabras a su paso, our Spanish developmental spelling program. They will be assessed on these words tomorrow and then be given new words next Monday. During English time, we were finally able to have our first round of reading groups! In these reading groups, the kids are learning about English sound patterns, sight words, comprehension techniques, reading with expression and so much more! During English, we read a story called The Adventures of Stick and Huggie. I found this book while wondering around Barnes and Noble with my nephew recently. It fits in wonderfully with what we are studying with our Lucy Calkins lessons of how to be a better reader. To read this story, the kids need to read with expression if they want it to be fun. At times, I start to read too fast and without expression. The kids stop me to tell me that I’m reading too fast and that it’s not interesting when I do that. I’ve also given the kids time to practice reading a page as the character after I read it to them first. The kids also have spelling words that they will be taking an assessment on. They have had these words for the last few weeks. Normally, they will only have a set of words for two weeks. Because of all of the Snow Days and such, the kids have had them longer. We use a program called Word Journeys. Just like in our Spanish spelling program, this is a developmental program where the kids take an assessment to determine where they are in their spelling development. Based on these results, the kids are assigned a word pattern to work on. Can your child tell you about their pattern? This about sums up our last couple of weeks. Please let me know if you have any questions or concerns. I would love to be of any assistance that I can be. We had a lot of learning opportunities this week. The kids completed both the math MAP test and the English MAP test this week. Once we pass the closing date, we will be able to print out the results and send them home. Please make sure that your child has shoes to wear while at school each day and not just boots. Some of the kids are coming in with snowy boots and then that snow melts into the carpet leaving wet puddles for the kids to sit on. I’ve been a victim of sitting in a puddle myself this week and it isn’t fun to have a wet behind for the afternoon. A couple of our kids have been showing up late for class. This puts them behind from the very start of the day and makes it hectic for them. They frantically try to catch up and join us with where we are. These kids are also missing our morning meeting and miss important information that is presented during it. Please make sure that your child is to class early enough to be in their seats and ready to learn by the time the bell rings at 8:05. Thanks! I completely enjoyed sitting down with parents at conferences on Thursday and I’m looking forward to seeing the rest of our families on Tuesday. All of our kids have reading homework again. If you haven’t seen your child’s baggy and book, please let me know. Thank you for making sure that your child is reading in Spanish every night. This practice is vital for kids to continue to grow their Spanish vocabulary, reading practices and desire to read. During our morning meeting this week, in addition to giving the kids important information about what is happening that day, we have been talking about appropriate behaviors in class. Some of our kids are having a hard time remembering to use a nice tone of voice, being supportive of friends, and controlling our bodies so that our actions are appropriate for a classroom setting. During our morning meeting, the kids have been listing one thing that is going well for them and one concern that they have or one thing that is bothering them. In math, we started chapter six. The kids are learning about graphing. They should be able to tell you what a “gráfica ilustrada” (a picture graph) is and a “gráfica de barra” (a bar graph). Homework for the weekend was sent home on Friday for this as well. In reading, we have been talking about reading with expression. We learned about guiones (which are the equivalent to quotation marks in English) and how they tell us that someone is speaking. We also learned that the words that the author uses are important to tell us how to read something (he said versus he shouted). We did many examples of reading sentences differently, depending on what is going on in the story. If a scene indicates that a character is mad, we would say it differently than if the scene indicates that a character is excited. The kids had many opportunities to try out these strategies during their read to self and read with a partner time. We listened to a couple of different native speakers read the story “Alexander y el día horrible, terrible, espantoso horroroso” on YouTube and the kids had the opportunity to explore which one read with better expression and why. In writing, we have been talking about how to organize a story with an introduction, problem and solution. We have also been looking at stories where the characters try a few different solutions before they are able to solve the problem. We have decided that these stories are more interesting to read. In science, the kids have started to learn about erosion. Can your child tell you anything about this? During English time, we have been doing a lot with whiteboard writing with short vowels. The kids have also been listening to some stories in English. We finished reading Skippy Jon Jones Snow What and started reading Tacky and the Emperor. We have used the same reading strategies during English time that we have been learning during Spanish reading time. As I do a read aloud, I have been switching my voice and asking the kids if we read it that way. If they say no, I ask for volunteers to read it in a more appropriate voice. That’s about it for us this week. Please do not hesitate to contact me if you have any questions or concerns that should be addressed so that they do not spiral into big issues. Well, that was a quick week at school. The following is a note from the Student Council. Book Buddies- The Student Council will be hosting our Book Buddies sale on January 24 and 25th during all lunch recesses. Students can purchase any book for $1 each. If you have any books that you would like to donate to Book Buddies, there is a collection bin in the entrance to the school. All proceeds go to The Power of Education Foundation to help students in Haiti get textbooks for school. Bonus: The book sale will be set up during conferences on January 24. If you would like to purchase any books, there will be a container in the office to place your money in. I’m looking forward to sitting down at conferences and showing everyone how the kids are progressing. I’m proud of them for all of their hard work and their desire to improve. If you have forgotten your conference time, please let me know and I can look it up. My mom is a former first grade teacher. She retired after more than 30 years of teaching. She has been coming in with her expertise to help me figure out levels for the kids for their English reading. With only a half hour for this a day, it would take me forever to do alone to actually find a level and start reading groups. The good news is that we are about to start English reading groups. We are hoping to finish English assessments and get started in two Wednesdays from now. If this changes to the following week, I will let you know. We are looking for some parents who can volunteer each Wednesday from 2:20 – 3:05, to help us run reading groups. It is super important that if you volunteer for reading groups, you are able to come for all Wednesdays. The kids need consistency in knowing that their leader will be there. If an emergency or illness in the family comes up, I completely understand. I cannot promise that you will spend this whole time with your child, but I will do my best. I will be reading with our group that needs the most support to be a successful English reader. My mom runs another group that is at a similar level. Our goal is that we use our expertise to help elevate the kids who need the most support and you can help guide the kids who can already decode, but need someone there to help them continue the process. While reading with the kids, we will give you a set of books that the kids will read and an assignment to do with them after reading the book. 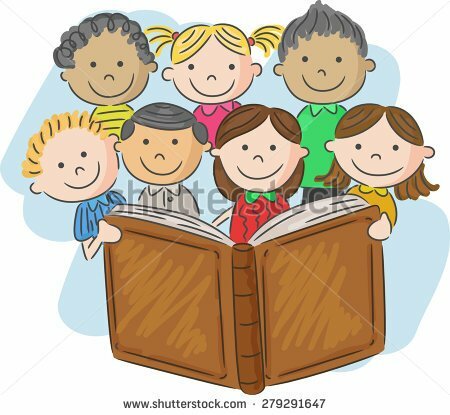 If you are not with your child to read the book, your child can join you during the second half of the reading time. We also need some other volunteers to help with Dolch words. These are the words that you just have to memorize and can’t sound out in English. These volunteers can come in on any day or days throughout the month from 2:20 – 3:05 (our English time). If you volunteer for this, it means that you will be working with all of the kids in our class to help them become better readers. Dolch words occur so frequently in reading that the kids need to know these immediately or their reading becomes very difficult. I will be working on putting together a volunteer schedule over the next week. If you are able to volunteer, please let me know if you want to volunteer for reading groups or Dolch words, what days you can come in, and how many times a month you would like to come in. When I send out the volunteer calendar, just let me know if I signed you up for a particular day that doesn’t work for you and we can adjust it. Thank you so much for your willingness to volunteer! We couldn’t do our reading groups weekly if it wasn’t for you!!! Next week, we will be taking our MAP tests. These are the assessments that prove to the state that we are showing growth in our kids. I would encourage you to not make it a huge deal for the kids and stress them out about it. Overemphasizing it tends to lead to high anxiety for the kids. A simple reminder that you expect them to do their best work is all that it is needed for second grade. In reading, the kids continued to work on reading silently with expression and grouping words together into phrases. As your child reads their homework at home, they should be reading at least part of it aloud. When your child reads, listen to him/her. Are they reading with expression? Or is he/she reading too fast? Is she/he reading word by word? Is your child reading in a monotone voice? The more that a child reads with expression, the more their comprehension increases. The kids completed a couple of writing assignments this week that will be used to mark report cards. They took some time to make a penguin and decorate it with different items from our art cupboard. Then the kids wrote a description of their penguins. On another day, the kids received a book and they had to write a story about their penguins. The stories had to have an introduction, problem and solution. The penguins and their descriptions are hanging in the hall for everyone to see. In math, we continued to review some concepts and expand on them for the kids who are ready for that. Next week, we go back to our next chapter of our math program. We did not get to our science this week since we only had one full day and two half days. We will be working on this next week. Did your child tell you that we started English after break? Our main focus right now is helping the kids learn the short vowels. We have been putting actions to each short vowel. Can your child show you these? We have also been doing some fun read alouds. We read A Day in the Life of Bubblegum and we are working on Skippy Jon Jones Snow What. The first book was a book written by fifth graders and published by Scholastic Books. It has a funny twist at the end. The Skippy Jon Jones book has some wonderful word choice. We call these fun words “sparkle words”. Does your child know what a sparkle word is? What does your child like about these books? I think that is about it for us this week. If you have any questions or concerns, please let me know. I would prefer to help address a problem before it becomes too big to deal with simply. I hope that everyone has a wonderful weekend! Stay warm!! And just like that, we are in December. I hope that everyone had a wonderful, relaxing Thanksgiving break! We have a lot of important events coming up, so keep an eye out for reminder emails. We are looking for someone who is willing to do our platter for our class. If you are interested, please let me know. Thanks! We are going to see the Nutcracker on December 18th. Please mark it on your calendars. Next week, we have a popcorn sale. It was on the calendar for last week by mistake. Sibling registration starts on Monday and continues through December 21st. We have a lockdown drill scheduled for December 4th at 1:05. If you need to pick up your child during this time for about 5-10 minutes, please schedule around this. Friday is a half day of school. Kids are dismissed at 11:20 and the staff will be in professional development for the afternoon. We have been super busy during our four-day week. In math, we have finished chapter four. The main focuses were on reading clocks to the closest five minutes, measuring to the closest inch or centimeter, and continuing to learn about number patterns. One of the most difficult ideas in measuring is understanding when to go to the next full inch or when to go back. Just as a reminder, if the line segment reaches the halfway mark or beyond, the kids need to go to the next full inch. If it is anywhere before that, they need to go back to the closest full inch. In the next chapter, one of the main concepts is counting and writing money correctly. We have had a few writing projects that the kids completed this week. The kids all drew a picture of a monster. Then they had to describe someone else’s monster. Once everyone was done, I posted the pictures of the monsters on the wall with numbers and everyone had their description on their table. The kids then had to do All Around the World. This is when they start at their own table. They read the description and write which number matches the monster that they described. They had two minutes at each seat to figure out which picture was being described. This was helpful in seeing who was writing a great enough description that people knew which one was being described. It also helped me determine which kids were doing a great job of reading for meaning. We did a similar project with describing different snowmen. I posted six pictures. The kids had to roll a dice to determine which picture they were going to describe. Then they wrote their description using an introduction, details and conclusion. We also have been focusing on gender agreements. Next week, the kids will complete the All Around the World portion of this. In reading, the kids have been reading up a storm. They read by themselves, with partners and listen to reading each day. I read a story entitled “-¿Pavo para la cena de Gracias? -¡No gracias!”. This is a book written from the perspective of the turkey. He finds out that the people want to eat him for Thanksgiving and takes action to not be dinner. What did your child think about this story? In working with words, the kids were given the letters of “El día de nieve en la casa” to use to make words. Then we talked about how to easily make more words. If you make a verb, see if there is an s or an n to change the verb. If you make a singular noun, see if there is an s to make it a plural noun. The kids have again had math homework. Has your child been completing it at home? Has your child been reading 20 minutes a night? There are so many studies out there that talk about the benefits of reading 20 minutes a night. The reading homework from me should only take a portion of this time. The rest of the time, your child should be choosing to read something else. As always, if you have any questions or concerns, please contact me. I’m here to help in anyway possible. Can you believe how quickly Thanksgiving is approaching? I’m amazed. Please remember that next week, we only have school on Monday and Tuesday. Has your child been completing their math homework each night and returning it? If not, they have given up some time during recess to complete their homework. I have not taken more than four minutes for any child. Typically, this is more than enough for them to complete the homework page. I want them to be outside playing, but I also need them to know that I take their learning seriously and doing their homework is part of that learning. This week has been packed full of activities for us. In social studies, we have been learning about how people use natural resources. We have also been learning about how people contaminate the environment and what we can do to try and stop it. The kids worked it groups to make posters on how to avoid harming our water, air, and land. They will present these to the class next week and the video will be posted to their Google account. In math, we have been covering some huge concepts. The kids have been learning how to read a clock to the closest five minutes. For the kids who have shown me that they know this concept, they will begin reading a clock to the closest minute next week. The kids have also been learning place value. We used the word MCDU to help them remember the placement. M = millares, C = centenas, D = decenas, and U = unidades. Can you child identify these? The kids have also been using base ten blocks to show three-digit numbers. Then, using this, they have been writing numbers in expanded form. For example: 345 = 300+40+5. Is your child able to do this as well? All of these concepts will be covered on our next math test. If you are looking for extra sheets to practice these things, you can find them at math-aids.com. Along the left side of the screen are all the different concepts. You can do a basic version or an expand version of these concepts that work at higher levels. On Friday, the kids had math centers. They worked with expanded form, Xtramath, adding higher numbers and comparing their answer with that of their partner, and completing a page in their math book. They have no math homework for the weekend. During our Daily Five, the kids have been doing different centers at different times. While the kids work on centers, Sra. Gomez has been pulling kids to work on reading groups and help support and expand on the math concepts that we are covering. She is invaluable in helping us in the classroom! While some kids are working in centers, I have been reading with kids individually and checking in on their progress. In reading, we have been talking about the different characteristics of non-fiction books. So far, we have covered glossary, index, table of contents and bold words. Can your child tell you where these are in a book, how they are organized, and how we use them? During our writing time, the kids have continued to write descriptive writing pieces. We have been focusing on the hamburger outline. This includes an introduction, the details, and a conclusion. We have also been stressing article, noun and adjective agreements. During our read aloud time, I read a fictional story entitled “Aquí viene Lucas”. What did your child like about this story? What lesson did the author want us to learn when we read the story? What was special about Lucas? What was Lucas’ problem? During working with words, we have done a few different activities. The kids have made words using the letters from the words “Día de acción de gracias”. The kids have been working on a word search of different Spanish words regarding Thanksgiving. The kids also wrote a page that will be a class book. They had to use the phrase “Yo dije” (I said). The reason I chose this phrase is because several of our kids still use the wrong verb for this. That about wraps up our week. If you have any questions or concerns, please let me know. Sign ups are going on now for this winter’s Junior Great Book (JGB) groups. JGB is a six week lunchtime book club to get kids excited about reading. Parent volunteers get the opportunity to read to children and watch them interpret stories, and kids get exposed to more classic literature. This is a free program, open to all students in Grades 1-4. What a busy week, filled with fun events and activities! A huge thank you to Sra. Boks for organizing our Halloween party! The kids had a blast painting their pumpkins and they were very proud of them. I have loved sitting down with parents this week during conferences to talk about the kids. We have a wonderful group of kids and they are so much fun! If you have anything that has come up since your conference, please do not hesitate to contact me. I look forward to seeing the rest of our families on Monday after school! I have a couple of notes from FHPS administration and Sr. daSilva. Please remember to vote, Nov. 6, on the FHPS Bond Proposal: Invest, Secure, Inspire. To learn more about this proposal, view a sample ballot, and more, please visit:www.fhps.net. Jump Rope for the Heart has their No Soda Challenge for November. This is to encourage families to be healthier and ingest less sugar. This week, our meeting time as a class has been focusing on how our tone of voice can sometimes be more important that what we say. The kids have been practicing how to use a nice tone of voice and our magic words of please and thank you when talking to their friends. Some of our kids use a very demanding or judgmental tone when talking to others. My goal is to have a kind, caring classroom this year. We want to be supportive of everyone. We can say the same thing in two different tones of voice and end up with two results. I gave the kids the example of “Nice shirt!” I said it once sincerely, with a nice tone of voice and then said the same words sarcastically. We also have been talking about how you can get a better reaction out of someone when you use a nice tone of voice. People are more apt to listen when you do so. During this week, I have been keeping my ears peeled for this. Anytime I have heard a child use a tone of voice that doesn’t sound very nice, I have asked them to try it again. It would be wonderful if parents could also do this with their kids at home. Asking the kids to try it again gives them the opportunity to practice saying what they should have said the first time. This tends to stick with them better than just letting them that what they said didn’t sound nice. This week in math, we have finished up our study of chapter two. We have been discussing different strategies for subtraction. Can your child tell you a couple of strategies that he/she has learned? In social studies, we have been learning about different land formations. The kids have started a book of these. As a class, we are writing a page about each of the formations. So far, we have learned about valleys and mountains. On each page, the kids discuss with a friend an introduction. Then I pull sticks and the kids share their ideas with the class. Then we talk about three supporting details that we can add to the writing. We do them one at a time and connect the ideas with connecting words. Finally, we discuss what a conclusion sounds like and share ideas about it before the kids write down a conclusion. In writing, we have started to focus in on writing descriptive pieces. The kids are learning (or relearning, because this was taught in first grade too) how to use the hamburger outline to organize their ideas. The bread at the top of the hamburger is an introduction, the meat is the ideas and the bottom bread is the conclusion. I have put up pictures that the kids use. One day, a baby was in a frog costume. Another day, four dogs were in different costumes and they had to pick one to describe. The last day, the kids had to describe a Day of the Dead scene. During our read aloud time, the kids have been learning about Day of the Dead and the traditions that go along with it. They also went on the computer to listen to two different stories. The kids received new word patterns for their spelling this week. We are in the process of retesting them to see what they have learned and what they still need to work on. I’m excited to see what kind of progress each one of the kids has made. At conferences, some parents let me know that they are having a hard time helping their child with the comprehension piece of the homework. I have opened a parent account on RAZ-Kids. This has the English version of the books from all the levels. You can access it to quickly read the book and then help your child. Please do not give this to your child. He or she should only be accessing the Spanish version of everything right now. If you go to the RAZ-Kids’ webpage, our class is named jbruin. Then you can choose “parent homework” as the child’s name. The password is simply “parent”. If you have any questions, concerns or fun stories to share, please contact me. Thank you so much for all of your support at home! We are completely into the swing of things. The kids are being very productive in class and are learning a lot. Please take a moment to read this clarification from Sr. Stecco on Ada Vista's costume guidelines regarding masks. The reason for the guideline about masks that completely conceal a student's identity is to protect that student's and other students' safety. Particularly in situations where a student might not be under the direct supervision of his/her classroom teacher. Appropriate masks may be worn only during the parade and in the classroom while under the direct supervision of the student's classroom teacher. In order to maintain student safety, we cannot allow students to wear masks at any time outside of the classroom while not under the direct supervision of their classroom teacher (for example, going to and from the bathroom). Please feel free to contact Sr. Stecco should you have any further questions or concerns. A parent also contacted me with an opportunity if you and your child would like to participate. Hola! The second grade parents are all invited to sign up to volunteer WITH their student on 2 separate dates at Kids' Food Basket. Please see details and link below. Thank you! I am hoping that families can help me with some feedback. I would love to know how much time a night your child is spending on homework. By my estimation, what I send home should only take about 10-15 minutes to read and another 5-10 minutes to do the Home Links page at night. I try hard to make sure that your child’s total homework does not exceed 30 minutes a night. If your child is spending more than this amount of time on homework, I need to know about it to help adjust the timeframe or homework assignments. Kids need time to be a kid. They should not be spending their entire evening working on homework. Please keep an eye on how much time your child spends doing their homework over the next week or so. I would really appreciate you letting me know how much time is involved in your homework. Halloween is this week. If your child is dressing in a costume, please remember that he/she should come to school in normal clothes. They will change into their costumes in the afternoon. During our party, the kids will be painting with acrylic paints. Sra. Gregory (our art teacher) has said that we can use her paint aprons. Since these do not cover the arms of the kids, I would encourage the kids to either wear a short sleeve shirt that they can use to paint or you could provide your child with an old shirt to cover their arms. Bombero Nick came to visit with us on Friday. He talked to the kids about what to do in case of a fire. He told the kids that they had homework. They were supposed to go home and talk about a meeting place outside of the house where the family would meet in case of a fire. He also told them that they should do a practice fire drill at home, just like they do at school. The final thing that he talked to them about was making sure that they sleep with their door closed. I have seen on the news lately how closing your bedroom door can help save lives in a fire because it blocks the smoke. It has changed our door at my house. We now sleep with the bedroom door closed, even though the dogs wake me up to let them out or let them in the room. In social studies this week, we have continued to talk about maps. The kids used some maps to help navigate routes and find out where they end up. In math, we are through 3.6. If you are following along in our Home Links, this is as far as the kids should be. The kids have been learning about how to subtract and manipulate numbers and number families. The kids were introduced to a strategy for -9, -8, number in the middle, and numbers that are together on the number line. Can your child explain these strategies to you? In math, I also did assessments with the kids on their fluency in addition and subtraction. First, I had the kids come up and do flashcards. Depending on how they did on these, they did a Minuto loco the next day. The Minuto loco gives the kids two minutes to complete the 20 problems. All of the kids have taken one home. These are partial sheets of paper with addition facts. When kids have fluency in addition and subtraction, they are better able to focus in on the concepts that we are learning and not on trying to figure out how to add and subtract. In writing, the kids invented their own fractured fairy tale. They have spent the week writing it in a book and then illustrating it. I look forward to reading these this weekend. The kids have been listening to several fractured fairy tales over the last few weeks. We talked about how these are outlined with an introduction, problem and solution. We also have compared and contrasted these to the original story. Next week, we are going to start talking about non-fiction books. The kids have completed their study of the word patterns that they have been studying for the last two weeks. They will receive new words on Monday with new sound patterns. The kids have continued to learn about gender agreement with nouns. We have been stressing it in class and correcting each other when we hear it. The kids have been reading with a partner and locating nouns. As they do, they write the word in the appropriate section of their paper that has the four categories separated (el, la, los, las). In our meeting this week, the kids have been talking about stopping behaviors that are irritating to others when they are asked to do so. Some of the biggest disagreements in second grade come when someone is irritating someone else. If the kids do not learn how to appropriately ask in a nice tone of voice to stop something and then to actually stop the behavior, it frequently breaks out in anger. This about sums up our week. If you have any questions, concerns or fun stories to share, please contact me. Please see the following note about our classroom parties from our room parent, Martha Boks. My name is Martha Boks and I am the room parent for Sra. Bruin this year. My son Henry is in Sra. Bruin’s class and I am excited to be part of organizing the fun! One of my responsibilities is to coordinate class parties for the year (Fall, Winter, Valentine’s Day and End of Year). I plan to have simple and fun parties that all the kids will enjoy! This year the school is asking parents to contribute $10 to the class party fund. This is an optional donation to help fund the parties. I am asking that all money be put in an envelope marked with your child’s name, teachers’ name and party money. If you choose to write a check, please make it payable to Martha Boks. You can also send funds electronically to $MarthaBoks via the cash app. ALSO, if you would like, you may include donations for the teacher gifts now. I may ask again, but if it is easier for you to include the funds together, that is great! I will separate out the gift money from the party funds. Our parties will be very parent friendly. Please feel free to join us and be willing and ready to help where needed. I am splitting my time between K and 2nd grade parties so the extra hands will be appreciated, and we may have to slightly alter our party times to accommodate my ‘double duty’. More details to come! Please fill out the following and return to your child’s classroom by Wednesday, October 24, 2018. Thank you and please contact me if you have any questions! Please see the following information from our fantastic librarian, Sra. Bowman. Congratulations… your student’s library is open 24/7/365! Forest Hills subscribes to Overdrive for ebooks and audiobooks. We hope you hop online and spend some time browsing our virtual shelves. The kids have been working hard and learning a lot. MAP testing results will be coming home either today or next Monday. I am not in today and it depends on if my sub is able to stuff envelopes and get them to the kids before the end of the day. There are a couple of things to know about these tests. The most important one is that both of the tests are in English. We know that the kids have not had English formal instruction. The state says that we need to report English test scores. This might be a huge factor in the results that you see on your child’s test scores. The kids need to read the tests. It is not read to them this year like it was last year. If you have concerns about your child’s test scores, please do not hesitate to contact me. Another thing to know is that, as a teacher, I place a much higher value on how the kids are performing in class and their abilities that I see there. In my opinion, a long test, taken in a language that the kids haven’t had instruction, is not the best measuring stick for a child’s abilities. This week, our fantastic aide, Sra. Gomez, has been working with reading groups, supporting math concepts, and pulling groups to administer our Palabras a su paso assessment with the kids. She is fantastic! We are very fortunate to have her working with and supporting our kids! In math, we are finishing up chapter two. The kids will be taking the final test next Tuesday. The items that will be on the assessment include: addition facts (including ones like 7 + ____ = 14), using helper facts, inverse order, name collection boxes, odd and even, and equal addition facts (doubles). During our read aloud time, the kids have been listening to more fun fractured fairy tales. We have been comparing them to the original stories and finding similarities and differences. The kids have started writing their own versions of the Three Little ________ and the Big Bad ________. First, the kids wrote an outline with the vital information that they were going to use in their stories. Then they reviewed that information with me. Finally, they were given a book in which to write their stories and to illustrate. They will be presenting these to the class at the end of next week. Each day the kids have been reading to themselves and reading with a partner. Our emphasis this week has been on how to help their partners correct a word that they mispronounce. Can your child tell you how they should do this? Does your child know the guidelines to follow when reading with a partner? Does your child know how to sit, where to look, and how he/she should be in relation to how their partner is sitting? During working with words this week, the kids have been practicing their spelling patterns. They have written each word three times on lined paper, practiced with a partner, learned the vocabulary for the words that they have, and just separated the words. The kids will be taking their final assessment with Sra. Gomez today. The kids also had the opportunity to do making words. I give the kids a long word or phrase. They need to find as many words as possible by mixing up the letters. They are also trying to find the long word or short phrase. In social studies, the kids have continued to learn about the different types of communities (rural, suburban, and urban). The kids drew a picture of the type of community where they want to live and then wrote about why they wanted to live there. Then the kids drew a picture of the type of community where they didn’t want to live and wrote about why they didn’t want to live there. Based on what the kids chose for where they wanted to live, they were put into partners. With their partners, they needed to make a large poster showing the community where they want to live and they will be presenting why they want to live there next week to the class. I will be taking videos of this and posting them on their Google accounts so that they can show them to you at home. We started a project that I’ve never done before. They will be doing puppet shows of the Three Little Pigs and the Big Bad Wolf. The kids made a puppet for both a pig and a wolf. In groups, they are deciding what types of backgrounds they will need to be able to do the puppet show. Next week, they will be making their backgrounds, deciding who reads which part, and practicing how to present the story to the class. Hopefully this turns out great and I can put it on Google as well to share with you. Please do not hesitate to contact me if you have any questions, concerns, or fun stories to share. I adore being able to work with all the kids in our class! They are so much fun! Our first week of October was a quick one. The kids have gotten into our routine and we are deep into learning new things. Tomorrow is our Caminata. We will be walking in the afternoon. Please make sure that your child is dressed appropriately for the weather. We will be walking if there is a slight rain, but will not be walking if we have significant rain. In social studies, we have been learning about the three types of communities; rural, suburban, and urban. What can your child tell you about these types of communities? Does your child know what each of these communities looks like? In math, we will be through section 2.8 as of tomorrow. The kids have been working on story problems, helper addition facts, counting and changing bills, doubles, almost doubles, even (par) and odd (impar) numbers, and inverse order. One way to help your child become more fluent in addition and subtraction, is to have them go onto Xtramath.com. Once there, my email address (jbruin@fhps.net), their name, and their four-digit number will give them access. The kids completed a test at the beginning of the year to see what facts they know well and what facts they need to learn. Based on that, the kids have practice sessions to learn the other math facts. Each afternoon, 5-6 kids go onto our Chromebooks and use the Xtramath website to help them gain fluency. We also had math centers this week. What was your child’s favorite center? Most of the kids have gotten into the routine of reading homework. I try to remind them the day before if they have homework to bring back. Reading homework is individualized to each child, based on what I observed with the kids during their running record. The reading homework is important to helping them grow as a reader. Please make sure that your child is reading his/her book aloud to practice gaining fluency. The kids have time to read by themselves each and every day in class. These are books of their own choosing from our classroom library. If you would ever like to donate a book to our class, we would love it. On the Scholastic website, I have also made a wish list of books that we do not have and would appreciate. During our read aloud times this week, we have continued to read versions of The Three Little Pigs and the Big Bad Wolf. The kids have talked a lot about the similarities and differences between these stories. We also began reading other fractured fairy tales. Based on this what they know happens in these stories, the kids have started to write their own stories of the three little somethings and the big bad something. We made an outline this week. Tomorrow, I will be working with the kids to solidify their outlines. Then they will receive their books. The kids will write their stories in the books and illustrate the pages. The kids received new spelling pattern words. They will all be bringing home a list tomorrow. This way, you can also work on separating the words or practice spelling them correctly if you notice that your child didn’t do very well on the last test. If you do, please stress the importance of learning the patterns and not memorizing a list of 12 words. During our meeting time this week, we have been discussing the difference between reporting and tattling. Can your child tell you some situations in which he/she should report to a teacher? The kids have also been learning how to do Brain Gym. This is an activity that helps the kids cross the midline and helps them connect the two hemispheres in the brain. This is also an activity that helps them become more centered and ready to work after an active moment in class. If you ever have any questions or concerns, please contact me. If you do not hear back from me in 24 hours during a work day, please contact me again. I do not want to miss anything. It has been a quick week for us. The kids are getting back into the swing of things and we have been stressing how to work quietly, be respectful, and how to be a great friend. Don’t forget that tomorrow is a half day of school! The kids will be dismissed at 11:20. Please note that our library day is on Thursday. Please help your child remember to pack his/her books in their backpack that day to return so that they can get new ones. If they forget, the kids can bring them in the next day and they can return them for new ones. The Caminata is quickly approaching. If you were going to donate and haven’t sent in your envelope yet, please feel free to send them in. Next week, the PTO will be doing a swag sale. This is a time when the kids can purchase items to wear at the Caminata. These items are normally $1 or less per item. I’m not certain what the prices will be this year. If the kids bring money, they can purchase items during their recess. We are getting into the swing of homework. Some of the kids have already forgotten it. Please help your child remember to complete one section of math per night in the Home Links book and to read their books. They seem to also need help in remembering to return their books. The due date is on each of the sticky notes attached to their books. This week, we wrapped up the first section of social studies. The kids made posters last week. This week, they presented their maps to the class, indicating where they made places to work, to play, to live and to solve problems. The videos will be posted on their Google accounts that you can access from home and the kids can share them with you. In math, we have been talking about changing money, filling in a hundreds chart when it is greater than 100, learning the doubles math facts, addition story problems, and how to use making a ten strategy. Can your child explain these to you? During read aloud time, we have read a few versions of The Three Little Pigs. We read the story “La verdadera historia de los tres cerditos” and “Los tres cerditos y el lobo no tan feroz”. Which one of these stories was your child’s favorite? Can your child tell you similarities and differences between these stories? When we read “La verdadera historia de los tres cerditos”, we talked about point of view or perspective. When we read our second story, we talked a lot about similarities and differences between the stories. The kids have had lots of time to practice reading to themselves and reading with a partner. The kids have been practicing how to read with expression. They have also been working on learning to pause at punctuation to make the story sound correct. During writing time, I have been showing the kids how to outline a story with an introduction, problem and solution. I model what this looks like and then the kids have had time to write their own outlines and stories. What has your child written about this week? During working with words, the kids have been learning different ways to practice their words. They have written them in rainbow style. They use three crayons and write the word (one on top of the other) with each of the colors. The kids have also written each word three times on lined paper. I wrote out the original word. The kids trace this and then write it twice independently. The kids have practice these words with a partner on whiteboards. The kids also gave each other a practice test. These results went home today. Anything that wasn’t written correctly, was rewritten on a lined sheet of paper that the kids have to copy and then write two more times. Our aide, Sra. Gomez is awesome! She has been pulling kids to work on reading groups, reinforce math concepts, and expand on math concepts that the kids already have. We are so fortunate to have her help each day! During our technology time, I introduced the kids to a website called getepic.com. I do not send this home for the kids because parents need to purchase this to use it at home. This is just another site for the kids to visit to read in Spanish at school. We had bus safety this week. Two of our wonderful bus drivers came to talk to our class about how to be safe on and around the bus. Can your child tell you some things that he/she should do to be safe? The kids also took home a booklet from them. That about wraps up our week. Please do not hesitate to contact me if you have any questions or concerns. If you do not hear from me within 24 hours on a weekday, please contact me again. I try very hard to make sure I respond promptly to all emails, but sometimes they end up getting buried. I don’t want to miss your email. I value your input, time, and energy. Thank you so much and I hope that everyone has a safe, wonderful weekend! How are things going for you? Hopefully the kids aren’t coming home as exhausted and grumpy this week. The first few weeks are always draining for the kids. Caminata information and envelopes came home this week. If you are able to donate to this cause, any amount would be helpful. By doing this one fundraiser, we are able to eliminate many other fundraisers from our schedule. I am so appreciative and grateful to everyone who can possibly help donate time or money to this event. Thanks! The kids have been incredibly busy this week. In science, we have been learning about germs. Can your child name body defenses that we have that help prevent germs from coming into our bodies? Ask your child about our experiment with glitter. Can your child tell you about it and why we did it? In math, we have been working on reviewing concepts from first grade and expanding on these idea. One of the main idea that many of the kids are still learning is counting money. Hand your child a few coins and see if he/she is able to count them. If not, this would be something to practice at home. We will also be working on it at school in small groups. Next week, we will be finishing chapter one. The following week, we will be starting on chapter two. Home Links, our math homework, starts in this chapter. If you would like a book of these papers to work with your child at home, please let me know and I will be sending them home as soon as we start the chapter. Otherwise, I will be making copies when I see that a child mostly understands a concept, but needs a bit more practice. These copies will go home on those days. The kids will have two days to finish the homework. The kids have also accessed Xtramath. If your child is still learning their math facts, please consider signing into Xtramath.org at home and having them practice their addition math facts. Xtramath only works on making math facts more fluent. It does not work with any of the other concepts that we will cover this year. During our read alouds, we have been reading books on different polite behaviors, making friends, and germs. Which book has been your child’s favorite this week? We also finished the book “Un caso grave de las rayas”. Can your child tell you what the author was trying to teach us? The kids have been learning about verbs in the infinitive and the present tense. Some of the kids are still learning to identify what a verb is. They will all be working in small groups with our amazing aide, Sra. Gomez, to learn what verbs are and how to conjugate them correctly. After being introduced to the concepts, the kids worked with partners, read stories, and tried to locate verbs in the infinitive, the present tense ellos/ellas/ustedes form, and the present tense nosotros form. They made lists of these verbs and these pages went home. The kids have been doing an amazing job of reading to self! Sr. Stecco came into our room during this time and was amazed at how well the kids were quietly reading and concentrating. They have been amazing me too. During our writing time, the kids are learning how to write a story with an introduction, problem, and solution. Next week, we begin learning more about fairy tales and we will be talking about this outline a lot with our reading and writing. The kids have been presenting their student of the day information. It’s been great getting to know the kids better through their presentations! Every day, we have a meeting circle time. During this time, we talk about how to treat each other and role play different scenes so that kids can practice how to ask to join a group, how to invite someone to work or play with them, how to handle disagreements, how to ask someone politely to stop something, how to use our “magic words”, and the list goes on. Did your child get to role play this week? What did he/she role play? If you ever have any questions, concerns, or fun stories to share, I would love to hear from you! Keeping open the line of communication is important to me. I hope that your child has been coming home excited about school and all of the things that we are doing! When you ask them what they did at school, the answer shouldn’t be “nothing.” The kids have been busy during the last two weeks. Sometimes it takes different questions to get some answers. What was your favorite thing about today? What did you learn new? Who did you play with? What did you do in math / science / reading / etc? Please email me to let me know what size shirt you would like for your child’s Caminata t-shirt. If I do not hear from you by next Thursday, September 13th, I will do my best to guess what size I should order for your child. The kids have homework each night. Is your child doing his/her homework? The homework is to make sure that each child is reading 15-20 minutes a night. The reading should be in Spanish. Any reading in English would be in addition to this. The kids will be receiving baggy books to read at home and will have access to RAZ-Kids. I am in the slow process of completing running records. As soon as I have finished leveling your child, I will send you an email letting you know what level your child is at, why that level was chosen, your child’s reading goal, and the activities that we are going to do to get him/her to achieve the goal. One of the biggest things that we have been working on is building a class community and learning routines and expectations. The kids have been working with different peers because I pull name sticks to put kids in groups or pairs. They are getting to know one another and learning how to work with them. During our morning meeting time, the kids have been learning about what the Golden Rule is and how that applies in class. They have been working on coming up with rules for the classroom. We have also started to role play different situations at school and how to handle them. We role played how to invite someone to join us and how to tell someone politely to stop something specific. In math, the kids have learned a couple of games. Can your child teach you how to play Pesca a diez? We have also been working with number lines and grids. The kids have reviewed money and will continue to review this throughout the year. If you see your child writing numbers backward at home, please make sure that he/she changes this. During the first few weeks of school, we will be making sure that all numbers are written in the correct direction. This is not something that should be happening any more in second grade. In science, the kids have been learning a bit about germs. What can your child tell you about germs? The kids have been learning how to read with a partner and read to self. Can your child tell you what the rules are for these activities? How is your child doing with it? What is the one rule that he/she should be working on improving? We have also been writing. The kids listened to a story “No hice mi tarea porque…” Then the kids had to write their own page about why they didn’t do their homework. The reasons were supposed to be outrageous and something that could never happen. What did your child write? The kids have also worked on writing a picture outline for a story. This includes an introduction, problem, and solution. The next step was to share their story with at least two other people. Then they started writing the story that goes with this picture outline. Here is our specials’ schedule for this year. Please reach out to me if you have any questions or concerns about what is happening in the classroom. I love to have open communication so that we can work together in your child’s best interest. I am so excited to be starting a new school year with your child! Is your child getting nervous and excited? Me too! My goal is to make your child’s second grade year the best year yet at Ada Vista. My name is Janell Bruin. This will be my 16th year of teaching at our school. I have a strong background of teaching the building blocks of reading, writing, and math. I look forward to challenging each child in our class at his/her individual level and seeing how far he/she will go this year. I love to read and one of my biggest goals is to get each child self-motivated to learn and to enjoy reading. For my undergraduate studies, I attended GVSU and graduated with a degree in Spanish and psychology. I went to Aquinas and earned my Masters in Education. I had the experience of studying in Sevilla, Spain for six months and in Costa Rica for three weeks at a private institute. Please bookmark out class website at http://janellbruin.weebly.com/ . Please note that you do not use www at the beginning. This is where I will post a weekly newsletter. Any other important information that you will need to know for our class will be there as well. A weekly newsletter will be sent out by way of email blasts. I also send out email blasts with important reminders. Please email me at jbruin@fhps.net and introduce me to your child. You can include information about what motivates your child, any academic or social struggles, what your child excels in, if your child has any allergies that I need to be aware of, areas of interest for your child, and any other information that you think I should know. The sky is the limit. When you email me, I will add your email to the list for the email blasts. Throughout the school year, please do not hesitate to contact me if you have any concerns or questions. Nothing is too small. If it is bothering you, I’d like to address it as soon as possible to help resolve issues. I look forward to working with you this year to make your child’s second grade year a memorable, exceptional, positive experience. You know your child best and you are his/her best advocate. I appreciate all communication between school and home to make each child’s experience at school the best it can possibly be.